Subtle and stunning, we've added a fashionable border to our most popular cards. The light Taupe border gives just enough contrast to delight the sender and receiver. 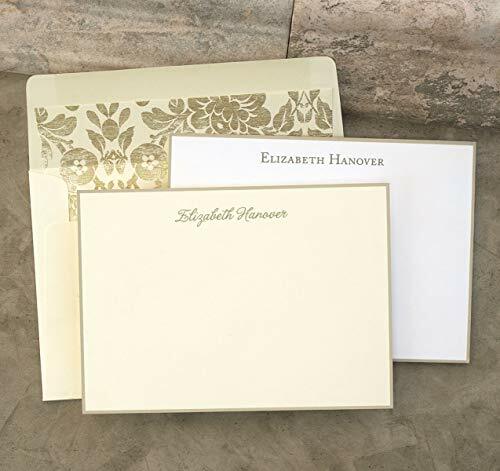 These cards are enhanced perfectly when paired with our Antique Gold Floral lined envelopes (optional).